1-In japanese versions of red,green,blue,yellow pressing A on 'Fight' during battle shows attack names in a square textbox,with type of moves shown at the right of the textbox.is there a way to restore it in pokemon blue (international versions) via hexadecimal or asm hacking? 2-is there a way,via assembly or hex,to re-enable glitches related to Select button (like dokokashira,or skipping to level 100)? 3-the ending credits,with staff names etc,are they graphics or text? 4- i would like to get translated lines about old man being drunk. 5- a way to switch positions for 'items' and 'pkmn' in battle,to resemble japanese versions.not just switching names,but options too of course.how? Please explain me how to do the things above,if you know the answer(s). 1. Sure but you have to consider the character limit. A fixed version wouldn't look that good; covering most of the screen compared to the Western releases. 2. TCRF explained how it got fixed. Seems not like that much to undo. 3. Text, look around 0x74000 in the US releases. If you know about asm,after i disassemble an italian BLUE rom,can you tell me which files contain the fight menu thing,select related glitches and data about boxes? Yes,i meant that.in which asm files should i change? Basically, it will give you one big ASM file, and from that you will have to separate everything yourself. By that point, you will know what you need to change. 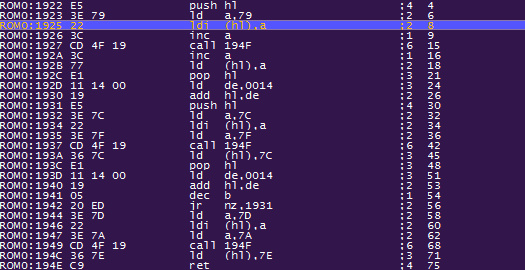 It's probably more so suggested to use the pokered disassembly here, or to hex edit it. If you know what youre doing, and have the time to commit to it, disassemble it yourself, but know that getting what you want from the ASM file is like... hide and seek per say. I don't know how to edit the fight menu,restore SELECT glitches (reactivating select flag) or making box be 8 holding 30 pokemons each.my best bet would be repointing text in japanese versions,if i had windows.if you tell me which offsets should i change to restore things by hex in the pokemon blue rom,,my problems would be solved. Most hex editors have a text search function that allows you to do that. Ok, this stuff requires a lot of advanced knowledge of the inner workings of the game which I'm not familiar with. It's likely that you'd have to rewrite the coding for these processes. And for the PC box thing, you'd have to reallocate RAM slots with the new size and number of boxes, if it can be done at all. IIRC, there was a project that someone was undertaking that consisted of translating, or perhaps in that case localizing Japanese Blue Bersion, which might have accomplished some of the things you're trying to do here. Using text and graphics from blue in japanese green/red is longer,but easier if i can't find help.if i knew the red jap/green jap offsets of text,i mean,what they are about (pokedex,battle,boxes,etc) i could have done it. Graphics aren't anything difficult at all. 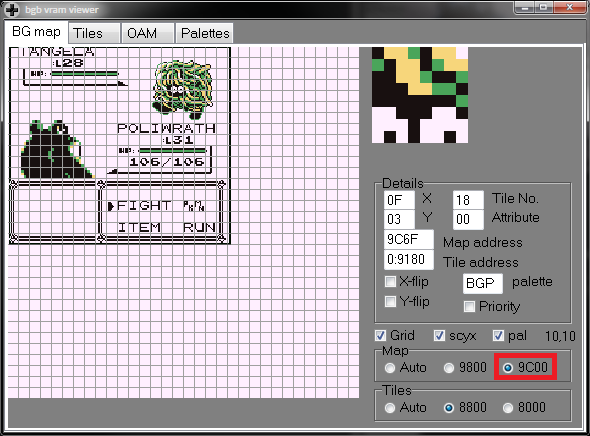 Overworld graphics for tilesets are uncompressed in the ROM, and Stag has an image compressor/converter thingy that spits out the right file type for inserting into the ROM, for graphics such as Trainer sprites. But, have you opened up Red and looked for things with a hex editor? Things like the battle interface are likely very complex and difficult to change, because things like text boxes are drawn dynamically (IIRC) using coordinates it's fed. So to add another one you'd likely have to be adding another piece of code into the battle mechanics. The last 2 points are easy,the first 3 not really. Ok, this stuff requires a lot of advanced knowledge of the inner workings of the game which I'm not familiar with. It's likely that you'd have to rewrite the coding for these processes. And for the PC box thing, you'd have to reallocate RAM slots with the new size and number of boxes, if it can be done at all. i guess because you are not sure how to do something yourself it means it must be impossible???? I'm not trying to discourage anyone from anything. Since no one replied to this topic I figured I would take a crack at it. Although now I am curious, how would this be accomplished? Why don't you search for it? Why do you expect everybody else to do work for you? Because i can't.i am on a mac which isn't mine,if you tell me there's an online hex editor i will search what i need. Battles use BG Map 1 at 0x9C00 to display graphics. The BG Map is only editable during vblank, so we need some kind of buffer as a middleman to place new tiles onto. Then we can update the BG Map with the buffer at our leisure. 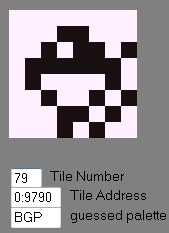 Notice that the BG Map has an extra twelve 7Fs (spaces) for each twenty in the buffer, since the BG Map is 32x32. The buffer skips over these tiles since they're never used. There's also a backup buffer at 0xC508, but we don't need to worry about it for now. So what happens when we draw the attack menu? The pp box is drawn at (0,8). The border isn't included in the dimensions, so only the highlighted area counts. It's 9x3. The attack list is drawn at (4,12). It's 14x4. The pp box's border overlaps the attack list's border. This means the attack list is drawn first. We should look for it before the pp box. How do we look for it? Where in the tilemap buffer is the attack list (4,12)? Each row in the tilemap buffer is 20 tiles long, so each step downward is really 20 steps forward. 12 tiles down is 12*20 (240) tiles into the map. To move 4 tiles to the right, we just add 4. So we're 244 (0xF4) tiles in. Adding to 0xC3A0, we want to look for writes to 0xC494. The pp box at (0,8) is 8*20 -> 160 (0xA0) tiles in, so writes there would be to 0xC440. Ok, we know where it is. How does that help us? We can set an access breakpoint on writes to our address in bgb. Select FIGHT. Execution should break at 0x00B6. Look over at the stack in the bottom right. The highlighted value is the address that called the subroutine we're in. Press Ctrl+G and goto 3734. This isn't doing anything specific to 0xC494. It's not what we're looking for. Click on the screen to keep going until the next break. This is more promising. Tile 0x79 is the top-left corner of the border. It's safe to say that 0x1922 is the routine that draws a text box. Let's check out the stack. The push hl command in the routine made the highlighted value 0xC494. The caller is the next one up, 0x525E. hl is our starting point, b is the height of the box and c is the width. Playing around with the boxes is a good first step, but it doesn't change the position of any of the text (and a couple garbage tiles need to be removed). Those things are done around the same place the boxes are drawn. I recommend checking out the Red disassembly for reference. It is nice,but i didn't understand if this can be saved or not.you said it's only editable during vblank.also,how do i fix the position for text? I might be wrong, but isn't that text for the type going to display improperly with something like Flying type (or anything longer than Water type)? Yes, you'd make it read from a custom list of shortened type names. It is nice,but i didn't understand if this can be saved or not.you said it's only editable during vblank. I was talking about the screen display in the game boy hardware, which can be damaged if you try to update it at the wrong time while the game is running. The output itself doesn't exist in the rom. What we're changing is the stuff in the rom that says where things go. It's very much saveable. 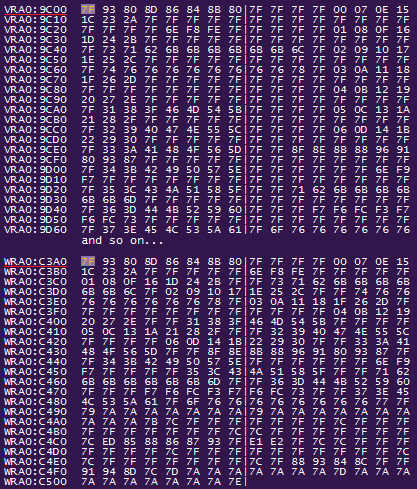 Also instead of using bgb (since you are on a mac) you can edit the addresses in a hex editor with the same results.